All of Jamaica is now affected by a severe drought – both on the coastal plains and in the mountainous interior. The Minister of Water, Land, Environment and Climate Change, Robert Pickersgill recently stated, “the amount of rainfall received island-wide, fell below the 30 year average for what is normal at this time of year”. With this lack of rainfall and the resulting water shortages, you would think that Jamaicans would be careful about doing things such as setting fires. However, in my neck of the woods in the Blue Mountains, this is not the case. Firemen extinguish a bush fire ignited by garbage fire in Cascade, Portland in the Blue Mountains on July 5. 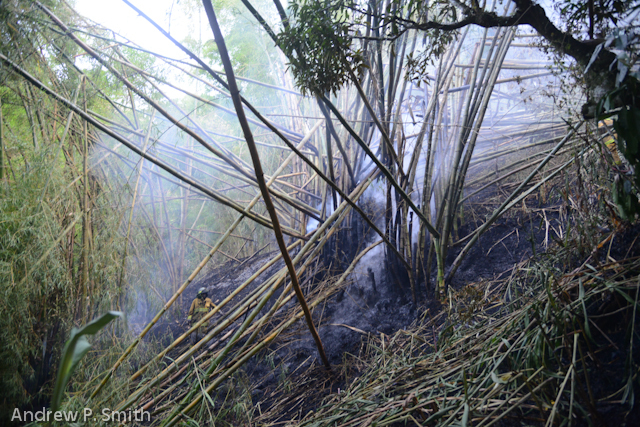 Two weeks ago I was alerted by the sounds of exploding bamboo and panicked shouting. 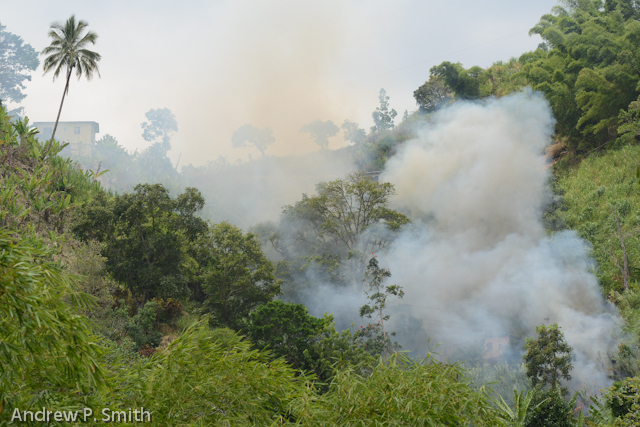 When I went to the back of the house, thick smoke billowed from the bamboo groves that separated my house from the church above. Apparently, after a function in the morning, garbage was set on fire in a rusted, half-burned out metal drum and left to burn itself out with no-one monitoring it. Residents of Cascade view firemen extinguishing a bush fire on July 5. 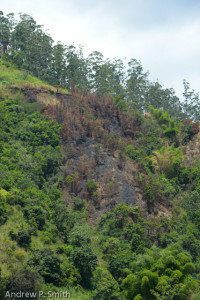 A burnt hillside in the Blue Mountains of Jamaica on July 18. Very soon afterwards, the day’s high winds carried burning embers from the drum and spread them through the arid grass to the nearby bamboo patch. For the next three hours a handful of us fought the conflagration with garden hoses, machetes and water buckets. This was not helped when the waterpipes went dry. 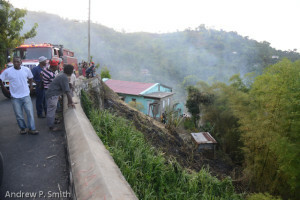 Fortunately, our phone calls to the one fire station in the parish of Portland that had a firetruck were successful when the team from Port Antonio arrived and put out most of the fire – until their water ran out. Although the remaining fire smoldered throughout the night, it was properly extinguished the next morning. The fireman who responded beseeched the residents not to light any fires due to the hazards created. You would think that a fire that burnt overnight and nearly destroyed a church and nearby property would be the last of it. Unfortunately , this is not the case. On passing by two weeks later, I saw a massive scar on the hillside above the valley, which I was told burned all day on the previous Monday. This however, was small compared to a fire set on the ridge above this scar which burned for over two days that same week. During my conversations, it was clear that people knew WHO was setting the fires, but the WHY appeared to be pure maliciousness. While I was being updated of of this events, I heard a familiar sound behind me. Lo and behold, the crackling and the thick white smoke indicated another fire a stone’s throw from me. This was lit by a farmer clearing land and fortunately it burned itself out after half an hour. God save us from our own stupidity.